If regular sports like football, cricket and badminton are not exciting enough for you, you have surely tried more adventurous things like scuba diving, rock climbing and bike racing. 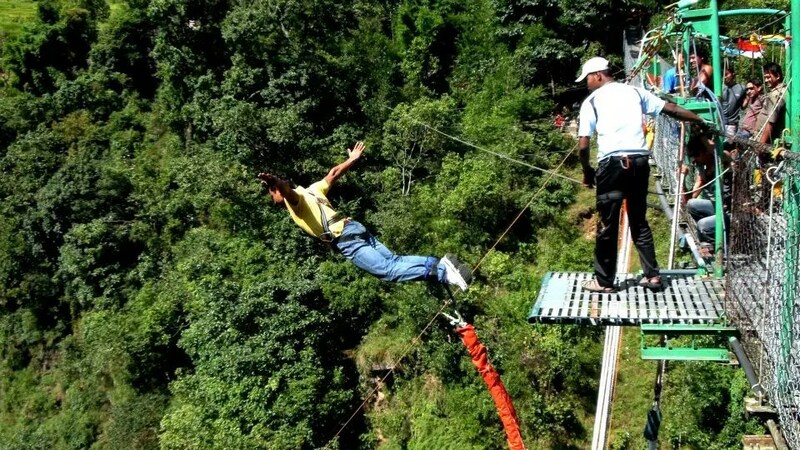 However, if that too is unable to sate your thirst for an adrenaline rush, then Bungee Jumping is the way to go. In this extreme adventure, jumpers are tied to a high platform by their feet and waist using a lone rope and jump from the platform. The rope stops the fall just short of the ground and gives the ultimate thrill. Here is our list of the highest and most extreme bungee jumps in the world. A bungee jump from the highest point in the world is every adrenaline seekers dream and this is perhaps the favourite spot. The bridge located in Colorado, United States was the highest bridge in the world for more than fifty years, till 2001. It is today the highest bridge in the United States. The jump is made from a height of more than one thousand feet into a gorge below and the freefall lasts for over five seconds. However, this jump is no longer open to the public but it remains the highest bungee jumping spot in the world. United states being the third largest country in the world has the highest bungee jumps in the world. 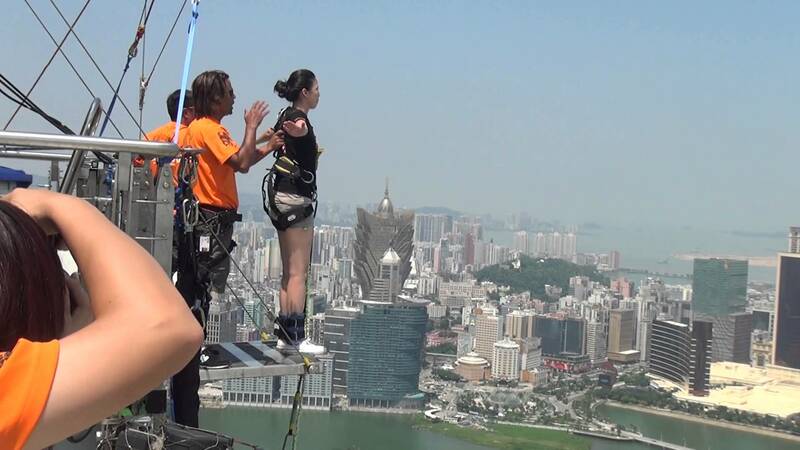 This is currently the highest bungee jump open to the public and is located in Macau China. It is operated by AJ Hackett and has specially designed equipment that prevents the rope from swinging back and forth to avoid crashing into the tower. The jumpers take off from the platform at the top of the tower and fall for over 750 feet before stopping a mere 96 feet from the ground. Hackett also offers a Skyjump for those who do not want to take the plunge directly. This is a tethered descent from the same height to the ground but is slower than freefall. China also known for its extraordinary and terrifying skywalks around the world. The 1995 Bond film Golden Eyeshot this location to fame and since then the Contra dam has been one of the most popular bungee jumps destinations in the world. Like Pierce Brosnan’s Bond, jumpers have the option to plunge down 720 feet along the wall of the dam and can also try the night jump that gives them the opportunity to plunge into absolute darkness. The location is currently leased to Trekking Team which offers a number of different jumps with the top of the line gear. Switzerland also tops the list of happiest countries in the world. This bridge is the tallest single-span bridge in the world and has been used for bungee jumping since 1990. 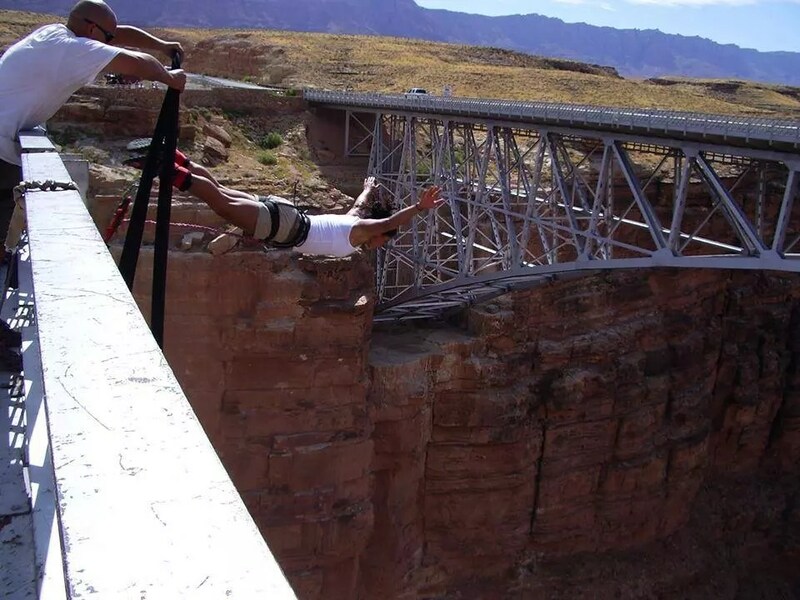 It was one of the first bungee jumps destinations in Africa and remains popular with tourists around the world. A special walkway has been built along the arch of the bridge and the jump takes place at the highest point on the arch. A stunning view of the surrounding area is an added bonus for those who agree to take the step over 700 feet down. The walkway is also open for other tourists who just want to admire the view unlike any other. 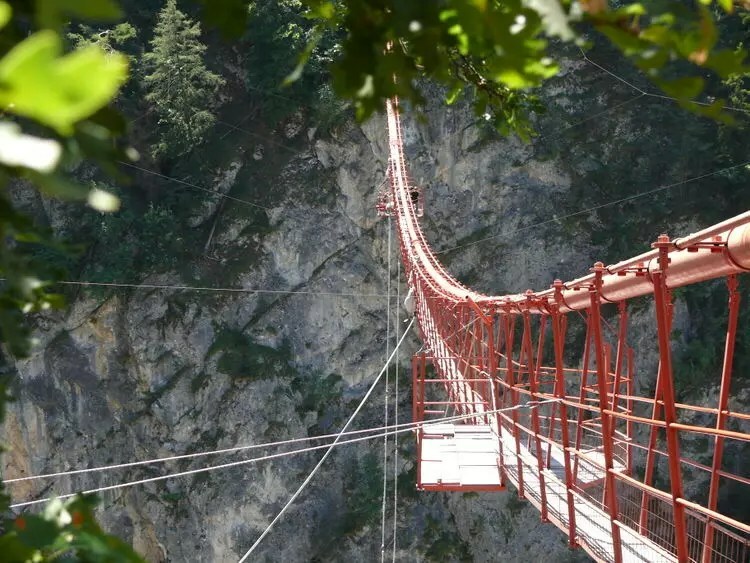 If trekking, rock climbing and mountain biking are too mainstream for you, the Alps also offer some of the most thrilling bungee jumps sites in the world. The Europabrücke Bridge is known for its stunning vistas of the forests and mountains and is one of the tallest bridges in Europe. 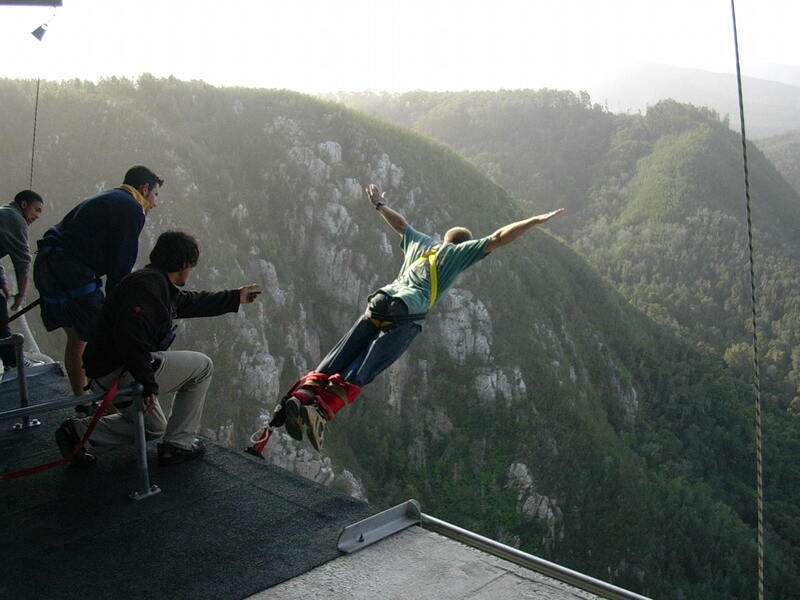 The jump site is operated by Rupert Hirner Bungy Jumping and the jump is more than 600 feet tall. Once you have tried the regular jump, there are also other options like the rocket jump and bungee running. Austra listed on 5th spot among happiest countries in the world, However it is famous one of the best tourist location inthe world. Also, please read about famous bridges in the world. 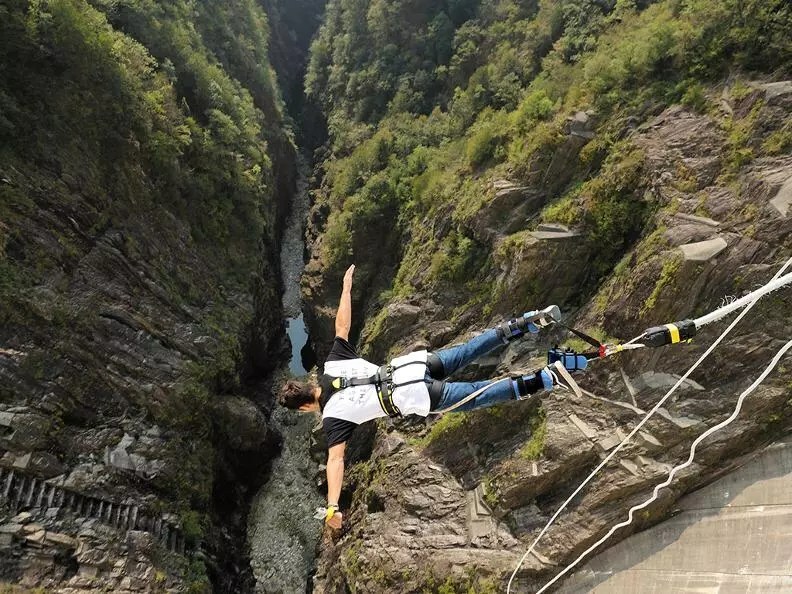 Another location that presents the wild side of Europe, this bungee jump off the world’s highest suspension bridge is a unique experience altogether. Because the bridge itself is a bit shaky due to its architecture, the excitement is even higher. The view during the 623-foot fall is breathtaking. 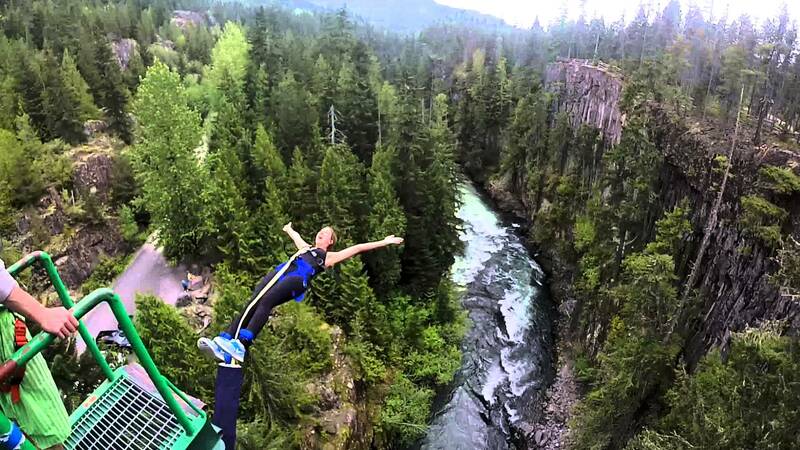 The blue waters and lush mountains on either side make this jump a staple on any bungee aficionado’s list. There are several other activities atop this bridge on the Navizence River like the Giant Swing where the drop is an arc rather than a free fall. 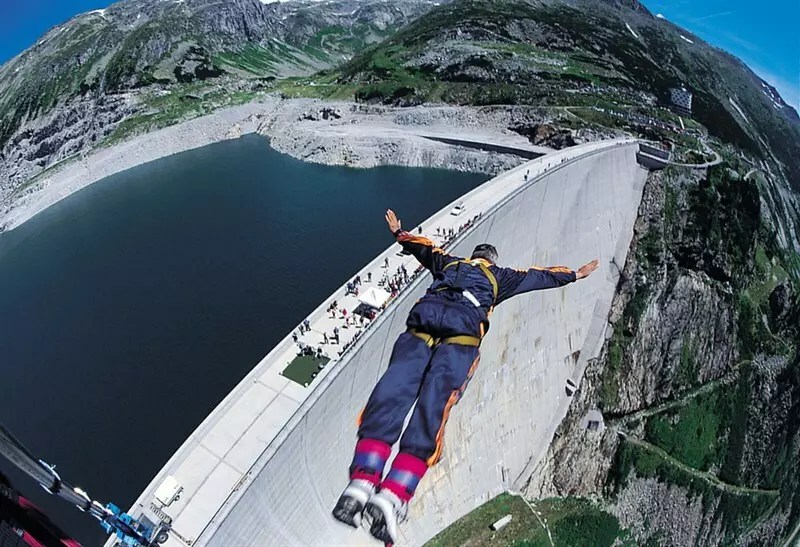 The second site in Austria where the jump is off a dam wall, this dam located in Carinthia is one of the highest dams in Europe and was inaugurated in 1979. 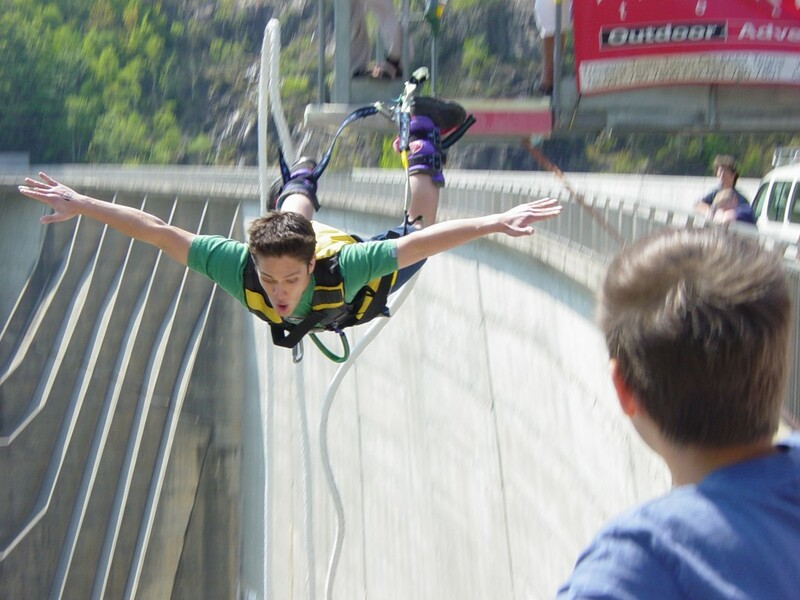 However, bungee jumping off the dam started only in 2010 when a skywalk was built to access the middle of the dam wall from where people can take the plunge of 555 feet. The third dam on the list of highest bungee jumps in the world, this dam is one of the largest in Romania and the jump is the highest in the country. Tourists from all over the world come to jump off this site and fall an exhilarating 545 feet down. This jump is the second highest in Asia, after Macau Tower in China. Done from the longest suspension bridge in Nepal and one of the longest in the world, it has a height of 160 metres, more than 500 feet. The bridge is a part of the Araniko highway that runs over the Bothe-Kosi River. From the high platform, jumpers can get a panoramic view of the Himalayas and the beautiful river that flows underneath. The second highest jump in the United States and the highest to still be open to the people, this jump is located in the state of Idaho. The Perrine Bridge is part of Highway 93 and was built over the Snake Canyon River. A platform 485 feet high was constructed to enable jumpers to plunge off the bridge and the view of the deep canyon and river thundering from below makes it one of the most thrilling jumps in the world. The United States is also famous among tourist for its natural swimming pools in the world. 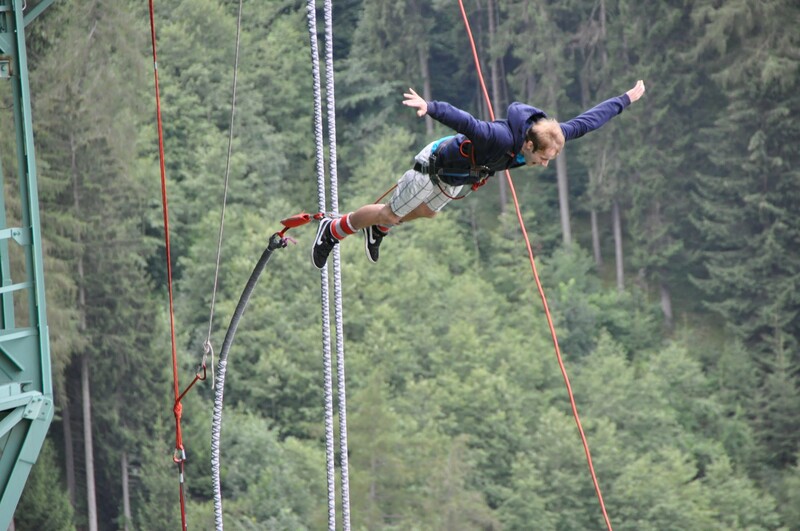 Bungee jumping is one of the most extreme sport that can be done without training. However, because of the potential risk involve in adventure sports, it is always a good idea to check the credentials of the operator and the quality of the equipment being used. If this list has got you pumped up and ready to go on your next adventure, pack up your bags and rush to the nearest jump site. Climate Change: At what Rate is Greenland’s Ice Sheet Melting?